I lost my iPhone last month, and there was a period of three weeks where I was using an old flip phone that was the size of a brick and had the functionality of a box of hair. During this time I found myself cut off from everything, unable to use my gadget to catch up on important things like world news or when Countess Luanne's latest single was going to drop. I was basically convinced my life was over. Looking back on it, I guess I was being a little dramatic, but the fact of the matter is that we are growing increasingly dependent on our phones and their applications to connect us with the world around us, leaving some to agree it is pushing us forward technologically in leaps and bounds, while others argue it is a social distraction. 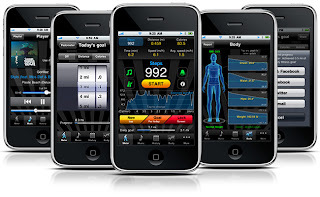 Well today we are going to focus on some positive aspects of the progresses with technology, as we look at some apps that for only a few bucks, could not only improve your health and fitness, but help keep you on track to achieve you muscle building or fat loss goals. 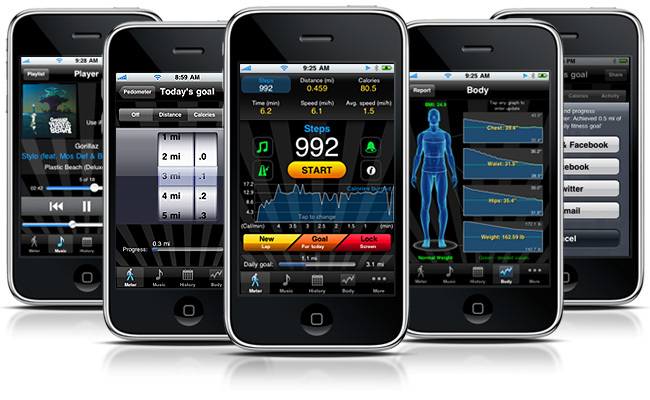 iFitness is the number one selling health and fitness application on iTunes. It helps you stay fit by providing you with pictures, videos and instructions on how to workout at the gym. It includes over 300 images of various exercises at the gym, and teaches you how to perform those exercises correctly and efficiently, with the ability to sort by body part or muscle region. So if you are heading out on a Friday night, and want to pump up those guns, you can head straight to the bicep muscle group and find a list of various weight lifting exercises to get you disco ready. 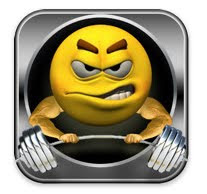 No wonder this app is recommend by the New York Times - It is one of the most downloaded health and fitness apps available and achieves a 4.5 star rating amongst buyers due to it's ability to run without having to be connected to the internet. Are you walking, jogging or running to lose weight? Perhaps you are just a busy person and would like to know how active you really are? Well there is no need to go out and buy one of those chunky, and unfashionable pedometers, because there is an application that tracks it all for you, right from your iPhone or iPod touch. Just getting started on your weight loss or fitness goals and want to learn how to run a 5k? 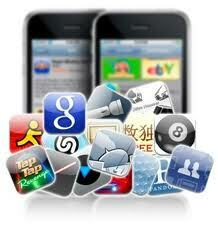 This is the app for you. Featured on ABC News, C25K shows you how to progressively go from couch potato to running a 5k within 9 weeks. There was a study conducted in 2009 that showed that 79% of Americans are dehydrated. Personally, I drink a large amount of water. Between my water bottle and the copious amounts of green tea I drink, I have never found it difficult to consume the recommended amount water each day. I do however understand that some people have busy lives and forget to drink water throughout the day, so this application would definitely be of benefit to them. 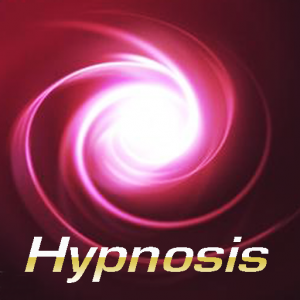 If you think hypnosis is all about crazy stage antics where some old man makes people from the audience behave like chickens, then you are wrong. It is actually becoming one of the fastest growing markets in the health and fitness industry and people look for new ways to get fit, build muscle or lose weight. Want to build some muscle and don't need any fancy pictures to tell you how to do it? This little guy can help you. It is a workout log that is simple and straight forward, and doesn't contain information on how to perform exercises or routines, such as iFitness, which most guys who go to the gym regularly don't need. So whether you are a weekend warrior wanting to track your steps, or a complete fitness junky and need some motivation in the gym, there are applications out there, such as these above, that can totally help you achieve your muscle building or fat loss goals. And for a few bucks, what have you got to lose?... except maybe those love handles or muffin top.